Tickets limited - available at bottom of page. 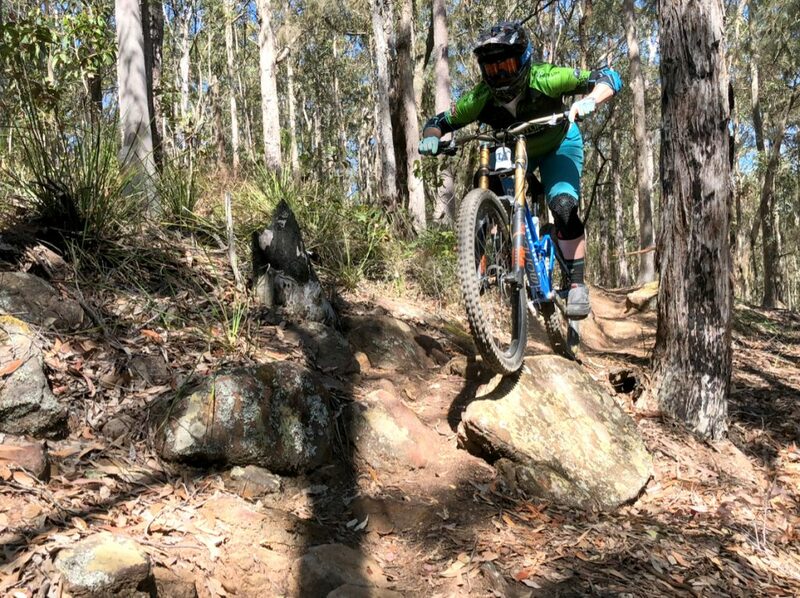 Our Intro to Gravity Enduro Session is a 3 hour session of lessons on a gravity enduro track with experienced, globally accredited mountain bike instructors who also have many years of experience in downhill racing. The session has very limited places in order to better facilitate participant experience and learning, as well as risk management. The Intro to Gravity Enduro session will concentrate on the foundation skills required to safely and efficiently negotiate a gravity enduro track. 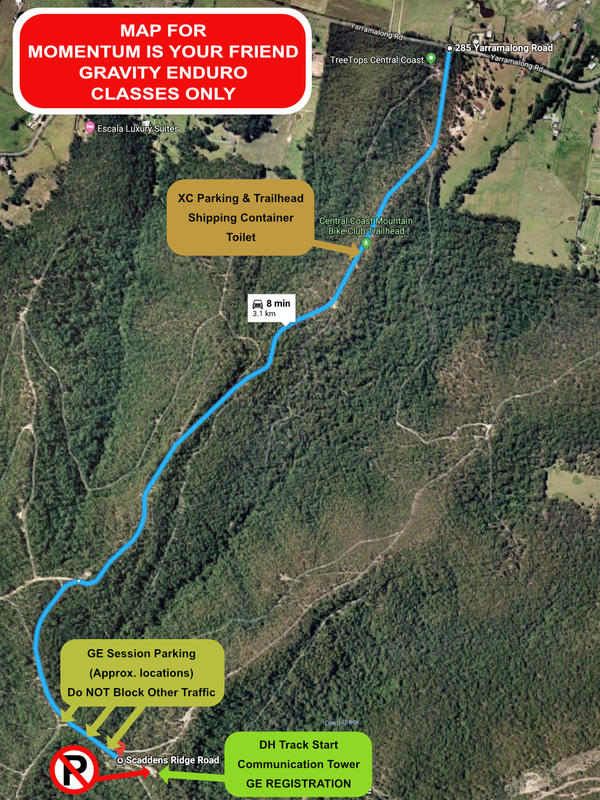 Ourimbah Mountain Bike Park - To get to the XC trailhead travel 600m up Red Hill Rd (drive on dirt road past the Tree Tops Adventure Park) at 275 Yarramalong Rd, Ourimbah NSW. More information will be emailed before session. Your mountain bike (EBikes welcome) will need to be suited to gravity enduro/advanced cross country riding and fitted with mountain bike tyres also suited to rough terrain. We strongly suggest using a tyre with an aggressive tread pattern and minimum width of 2.3 inches. 2.5-2.8 is more common. Lightweight cross country, touring or semi-slick tyres are not suitable. The MTBA enforces compulsory, full face helmets for gravity enduro events for good reason. You only have one head and face. However, for our Intro to Gravity Enduro class only, you are required to wear a correctly fitting, Australian approved XC helmet during all sessions as a minimum requirement. If you have a full face mountain bike helmet available it is recommended you wear that. All students will be required to wear extra protection in the form of hard or soft shell pads on both knees. You not only gain the protection but also the confidence that comes from knowing you have the protection. Elbow pads are also highly recommended.